Beach trips, pool days, and fun on nearby rivers are all part of a Northern California summer. Aside from helping you feel confident in your swimwear, developing a strong core can boost your performance and safety as you enjoy your favorite summertime activities, from hiking and biking to surfing, paddle boarding, and beach volleyball. Injury prevention. Dynamic balance improves as core strength increases. Better balance means more stability. Plus, a strong core protects other muscles in your body from strain. Improved posture and spine health. Back problems can be incredibly painful. One of the best ways to prevent them is to keep your core muscles strong. Better performance in any sport. A stronger core leads to easier breathing, which translates to more oxygen when you need it most. Plus, it’s hard to find a sport that doesn’t rely on core strength. Improved health. Lengthening and stretching your core has the happy side effect of improving your digestion, while reducing belly fat will lower your risk of serious conditions like heart disease and cancer. If you want to improve your core strength, but aren’t sure where to start, consider meeting with one of our personal trainers. They can help to assess your individual needs, develop a plan to reach your goals, and make sure that your form is correct. 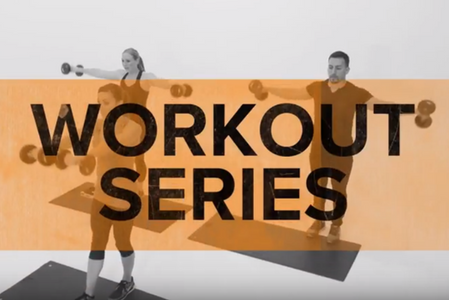 Get started today with this core workout from one of our trainers, Cristian.